A doctor who assisted a surgeon as he operated on Paceville kingpin Hugo Chetcuti on Wednesday recalled "huge amounts of blood" as medics raced to stabilise their patient. 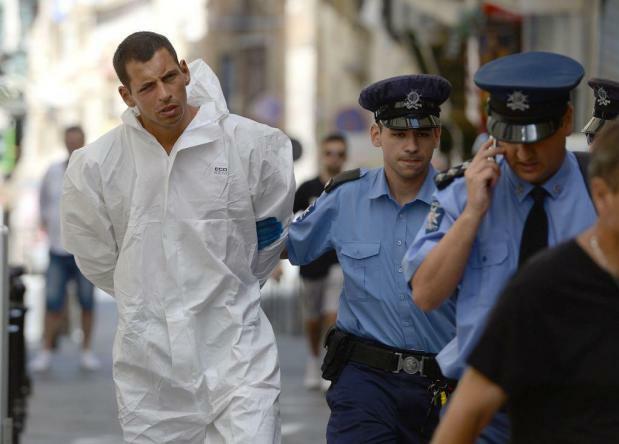 Mr Chetcuti had been rushed to Mater Dei Hospital after being stabbed on a busy Friday night in Paceville. He was whisked into an operating theatre, where surgical trainee Jeremy Fenech was assigned to help surgeon Ayman Mostafa as he operated on him. On Wednesday, Dr Fenech told the court how Mr Mostafa had sutured perforations in the patient's intestine and worked to stem the bleeding. Dr Fenech was testifying in the compilation of evidence against Bojan Cmelik, who stands accused of having murdered Mr Chetcuti by stabbing him in Paceville. In previous sittings, the court had heard from pathologists who examined Mr Chetcuti’s body, police officers who were at the scene of the crime and forensic specialists who examined the suspected murder weapon. Mr Cmelik sat silently, armed guards nearby, as Magistrate Marse Ann Farrugia began the day's proceedings before a packed courtroom. Dr Fenech explained how, having sutured the perforations, they had then flushed the patient’s abdomen with large amounts of water and checked the intestines several times to ensure there was no further damage. Junior trainee Stefan Zammit, who followed Dr Fenech on the witness stand, testified to this. Though both witnesses remembered two drains being inserted into Mr Chetcuti following the intervention, neither could recall who had inserted them. A third witness, consultant pathologist Darko Babic, explained how he had been given two intestine samples following the surgical intervention to examine. Dr Babic noted a significant perforation and evidence of haemorrhaging in the larger sample but nothing especially concerning in the smaller one. When asked what caused the haemorrhage, Dr Babic said he could not say. “I can only comment on the specimen,” he told the court. “It would be unfair to anticipate wrongly”. The case continues on January 23. 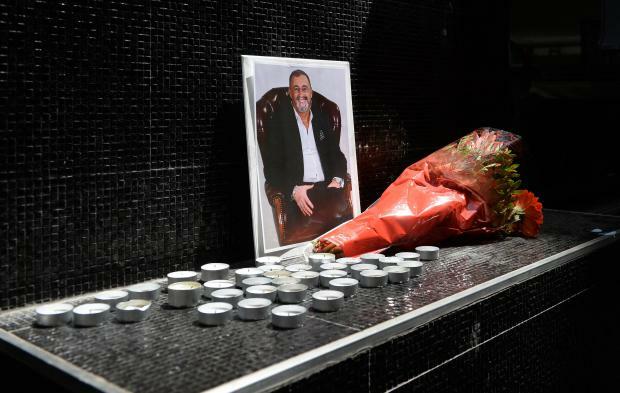 Flowers in tribute to Hugo Chetcuti outside one of his Paceville establishments. 1.56pm And that's it for today's hearing. 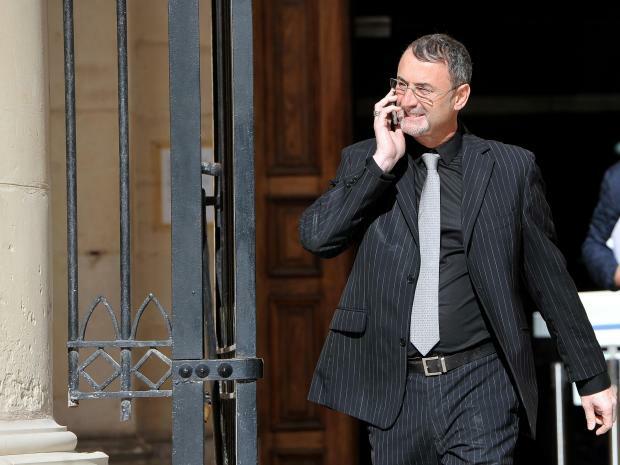 Magistrate Farrugia adjourns proceedings to January 23. 1.53pm Lawyer Joe Giglio wants to know what caused a haemorrhage Dr Babic noted in the larger specimen. "I cannot say," the doctor replies. "I can only comment on the specimen". It would be unfair of him to speculate, he explains. 1.50pm The problem with the longer intestine sample, the doctor says, was the perforation causing peritonitis. That (thank you, Google) is an "inflammation of the peritoneum, typically caused by bacterial infection either via the blood or after rupture of an abdominal organ." There was nothing in the shorter piece that could cause acute problems, he says. 1.44pm The consultant is delving into details of his findings, and it's getting fairly dense for those without medical training. There's talk of acute inflammations, superficial lacerations and trans mural defects. 1.40pm His hystological report confirmed what a visual examination indicated, Dr Babic tells the court. There were signs of inflammation. 1.35pm Dr Babic is now explaining his duties in such situations. All tissues removed from a patient during surgery must be analysed. A report into the findings is then put together. The head of department is roped in to examine specimen which are interesting or unusual. In Mr Chetcuti's case, two pieces of bowel were removed and assessed under a microscope. 1.31pm Dr Zammit is done testifying. The day's third witness is Darko Babic, a consultant pathologist. Dr Babic says he has been a consultant since 2002 and worked in Malta since 2009. He was not involved in the operation on Mr Chetcuti, but checked a specimen of his bowel - a regular procedure following such surgeries. 1.27pm He recalled how the patient's abdomen had been flushed several times and then checked time and time again . "I had a very limited view," Dr Zammit says, explaining how he was to the side. He also recalls two drains being inserted and the abdomen being closed. There was mention of the patient being in a much more stable condition, he says. Answering questions from Dr Psaila, Dr Zammit says he too does not recall who inserted the drains, but that it was not himself. 1.22pm Dr Zammit recalls how he was summoned to help and immediately did so. He had not seen the patient or asked any questions about him and did not know any details about the case. When he entered, the surgeon and Dr Fenech had just controlled the bleeding, he says. 1.20pm Another doctor, Stefan Zammit, is the next witness. Dr Zammit was the other medic present during the surgical intervention. He tells the court that he graduated as a doctor four years ago. 1.17pm Defence lawyer Dr Psaila wants to know how many doctors were present during the operation. The surgeon, a basic trainee and himself, Dr Fenech replies. 1.11pm With that done, they proceeded to wash out the abdomen. Two drains were inserted - Dr Fenech can't recall by who - and Mr Mostafa closed the victim's abdomen with his help, he tells the court. With that done, Mr Chetcuti was transferred to the hospital's intensive treatment unit. 1.06pm They found four perforations of Mr Chetcuti's small intestine, he tells the court. Mr Mostafa sutured them all and checked them several times to exclude any further damage. Mr Mostafa then checked both the small and large intestines, physically going through their full length to make sure nowhere else had been pierced or ruptured. Dr Fenech says he served as an extra pair of eyes and hands at this stage. 1.04pm Once the mesentry had been stitched up, much of the blood loss stopped, he tells the court. With that done, they proceeded to check for damage to other organs. 1.01pm Dr Fenech recalls that parts of Mr Chetcuti's small intestine had been affected by the injury and that there were "huge amounts of blood". Mr Mustafa had sutured the mesentry - a fold of membrane that attaches the intestine to the abdominal wall. Hugo Chetcuti was murdered in Paceville. 12.57pm The magistrate wants to clarify what Mr Fenech's precise role was throughout the surgical intervention. He explains that it was Mr Mostafa who took final decisions, but that he could take initiatives to help the operating surgeon. In this particular case though, he says he cannot recall what he did specifically. It must have been the usual sort of assistance, he tells the court - cutting out extra threads during suturing, sucking out blood, helping the surgeon see better by moving organs as he worked, disinfecting areas and so on. 12.53pm Surgical trainee Jeremy Fenech is the day's first witness. He tells the court he graduated five years ago and sees to emergency cases. He was assisting during surgery on Mr Chetcuti. Surgeon Ayman Mostafa was the doctor who first operated on Mr Chetcuti when he was rushed to Mater Dei following the stabbing. 12.50pm Magistrate Marse Ann Farrugia begins proceedings. As a reminder - lawyer Ishmael Psaila is representing Mr Cmelik, with Inspector Nikolai Sant prosecuting and lawyer Joe Giglio appearing parte civile on the Chetcuti family's behalf. Before last October's hearing had to be put off, the court had heard how Mr Cmelik used to go by another name - Bojan Mitic. He had his name changed in March 2016, police officers testified. 12.45pm Mr Cmelik is in the courtroom, with armed guards standing close by. Tensions have run high in this case. Last October, a hearing had to be postponed after a bit of a kerfuffle in the courtroom. Mr Chetcuti's brother-in-law had lunged at the accused, saying his "smirks" had infuriated him. 12.35pm It's looking like a packed courtroom, and people will be jostling to get a seat. Not entirely surprising, given that Mr Chetcuti's murder was arguably the highest-profile crime of 2018. 12.30pm Armed officers are in the corridor outside the courtroom, as has been the norm throughout the case. Mr Chetcuti's brother is also present. The hearing prior to this one was over almost as soon as it began. Will Wednesday's shed more light on the case? 12.25pm Three doctors who formed part of the medical team caring for Mr Chetcuti in the days before his death are expected to testify today. The court has already heard from other medics in previous hearings. They told the court that Mr Chetcuti was rushed into surgery 21 minutes after entering hospital, and had initially appeared to be in a stable condition following that intervention. His condition however subsequently deteriorated and he died a few days later.